The 3rd Woman is a solid mesh of murder mystery and political thriller, with just a slight sci-fi sort of edge to it. The very near future, as Jonathan Freedland imagines it, sees the United States of America so crippled by debt that it's had to sell off some of its sovereignty and accept the military presence of its largest debtor - China - on its home soul. It's not all that far-fetched, and the speculative aspect largely stops there, although Freedland does take some liberties with the future of social media. Madison Webb is your typical journalistic heroine, an obsessive loner who can't resist the puzzle of a good mystery, especially when it's a murder so close to her heart. She's damaged goods - there's a whole subplot dedicated to the mystery of what her mother's illness is hiding - and she's not above using anyone or anything in her pursuit of answers. She's not necessarily likable or sympathetic, but she is someone with whom the reader can empathize. While I understand it's a genre convention, I felt it was a shame that the entire story is told solely from her perspective. It really denies us any deeper insights into the whole political situation, which was (admittedly) the primary draw for me. We do get bits of context throughout the novel, revealing the new racial tensions and potential for civil unrest along the West coast, but I wanted something a bit deeper. It's not necessarily a complaint, just an observation on my own particular interest in the tale. As for the murder mystery, it's well played out with plenty of red herrings, double crosses, and twist developments. 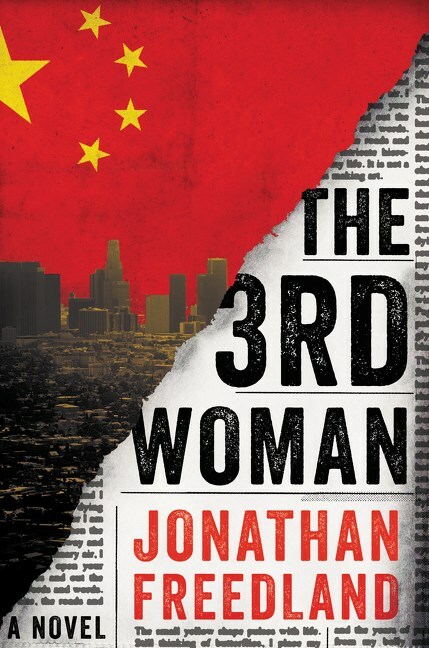 Although motives are always suspect in these kinds of stories, the political aspect, the fear of the Chinese oppressors, and the pressures of a mayoral political campaign certain add to the tension. It all gets a little bogged down towards the end, especially with the resolution of that family mystery, but for the most part it works. Even if The 3rd Woman isn't quite as speculative or as political as I anticipated, it's a solid mystery, with a good cast, propelled along by a well-written narrative that races along, but still takes time to provide all the details. Disclaimer: I received a complimentary ARC of this title from the publisher in exchange for review consideration.This does not in any way affect the honesty or sincerity of my honest review. 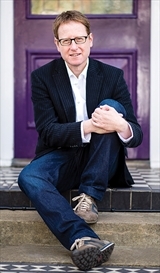 Jonathan Freedland is an award-winning journalist, a number one bestselling author, and a broadcaster. He is the Guardian's executive editor for Opinion and also writes a weekly column. He is a regular contributor to the New York Times and the New York Review of Books, and presents BBC Radio 4's contemporary history series The Long View. In 2014 he won the Orwell special prize for journalism. Find out more about Jonathan at his website, and connect with him on Twitter and Facebook. The first two murders went unnoticed. The third will change everything. . . .
She can't save her sister. Journalist Madison Webb is obsessed with exposing lies and corruption. But she never thought she'd be investigating her own sister's murder. She can't trust the police. Madison refuses to accept the official line that Abigail's death was an isolated crime. She uncovers evidence that suggests her sister was the third victim in a series of killings hushed up as part of a major conspiracy. She can expose the truth. In a United States that now bows before the People's Republic of China, corruption is rife—the government dictates what the "truth" is. With her life on the line, Madison must give up her quest for justice—or face the consequences. . . .